1Cancyte Technologies Pvt. Ltd, Rangadore Memorial Hospital, 1st Cross, Shankarapuram, Bangalore-560004, India. 2P. E. S. Institute of Medical Sciences and Research, Kuppam, Andhra Pradesh-517425, India. *To whom correspondence should be addressed. E-mail: padsriram@gmail.com. Received 22 March, 2018; Received in revised form 02 April, 2018; Accepted 05 April, 2018. Virus concentration, HIV diagnosis, Hepatitis B virus, Hepatitis C virus, Centrifugation. Viral infectious diseases represent an important global public health problem with high incidence of mortality and morbidity every year. Since viral infections account for greater than 60% of the burden from other infectious agents, efforts to achieve accurate screening of such viral pathogens by improving the sensitivity of the detection methods has been the major focus of many researchers. In this study, a method to concentrate virus particles such as Human Immunodeficiency virus1, Hepatitis B virus and Hepatitis C virus has been re-evaluated and the optimal protocol for concentrating the viruses from low-titre specimens has been determined. To concentrate virus particles, 1 mL of the clinical sample was centrifuged at 16,627 × g at 4°C for 2 h. The pelleted viral particles were then processed for DNA and RNA preparation and tested by quantitative polymerase chain reaction (PCR) for the respective viral load. Recovery efficiencies of >100% was achieved for HIV-1 particles with possible lack of PCR inhibitory compounds. 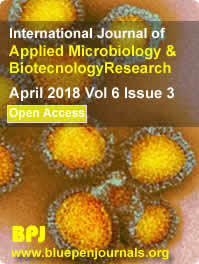 The described methodology enhances the limit of detection of mini-pool (MP) testing by almost 20 to 50 folds and could be applied by blood banks engaged in viral testing of blood samples.